What happens when you should be ___________ but circumstances get in the way. Well, if you are human, this may happen quite often because life events do not seem to care about how we should be. So what do you do and why? Have you ever seen someone so overcome by their feelings that they are out of control? Sadness, anger, fear or happiness, all can take over if they are allowed to…but what if they are threatening the situation you are in and the excessive nature does not call for it. We have talked about the person who cuts you off on the highway, yelling and screaming at you in a previous post. Sometimes it is good to realize that you do not need to have that person control your emotion. As we mature in life (we should be seeking to do that constantly), the nature of our surroundings should become less an effect on our situation. Think, imagine a good response from a father who is seemingly unaffected by the storms and celebrations of life. Not stoic or unfeeling, but keeping emotions in check. He sees beyond the event. He has played the chess game in his head a few times over and sees a “check” and possible victory on the horizon. 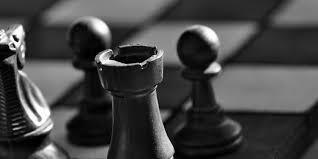 He sees having to sacrifice “pawns” of his life and even a rook or knight so that his family is safe. It is not that he does not feel, but he sees cause and effect. As parents, this is so important and as individuals who need to focus on the goal rather than the circumstances. Sayuri, it is my honor to encourage. Thanks.